Chillies are cultivated all over the world in different climatic conditions, resulting in varying levels of heat and a profusion of flavours. The heat is caused by the presence of capsaicin, a compound responsible for the piquancy of chilli peppers and the burning sensation encountered when eating or handling them. The heat of a chilli is measured on the Scoville scale, invented in 1912 by an American pharmacist called Wilbur Scoville. A large Capsicum bell pepper would be rated at zero Scoville heat units on the scale, whereas volcanic Naga Jolokia chillies boast a rating of between 855,000 and 2,200,000 Scoville heat units! 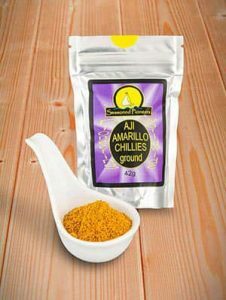 However hot the chillies are that you enjoy, few chilli suppliers can offer a selection as diverse and colourful as Seasoned Pioneers. We find that our selection of ground chillies are by far the most popular, probably because they are convenient, easy to use and remove the need for you to handle whole chillies, which can quite literally end in tears! Ground chilli powder can refer to an individual type of chilli that has been milled into fine particles. Alternatively ground chilli powder can refer to a blend of several types of ground chillies. 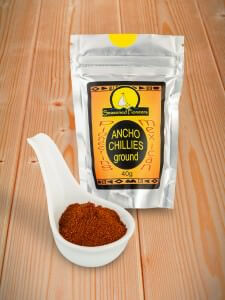 For general use in dishes such as chilli con carne, we offer our own hand-blended chilli powder for which we roast garlic and cumin before mixing them with an explosive mix of ground Chipotle, Ancho, Habanero and Cayenne chillies. This chilli powder is a great all-rounder, extremely versatile for any dish that requires the introduction of some heat. Always be aware that the resultant amount of heat is entirely in the hands of the cook as a little goes a very long way. 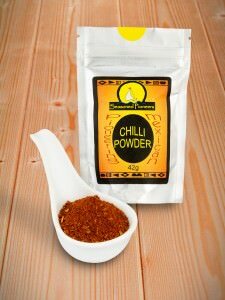 Whenever adding chilli pepper to your cooking it is important to remember that you can always add more heat to a dish but it is extremely difficult to take it away!